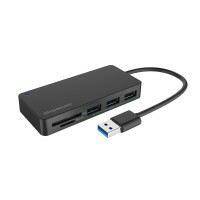 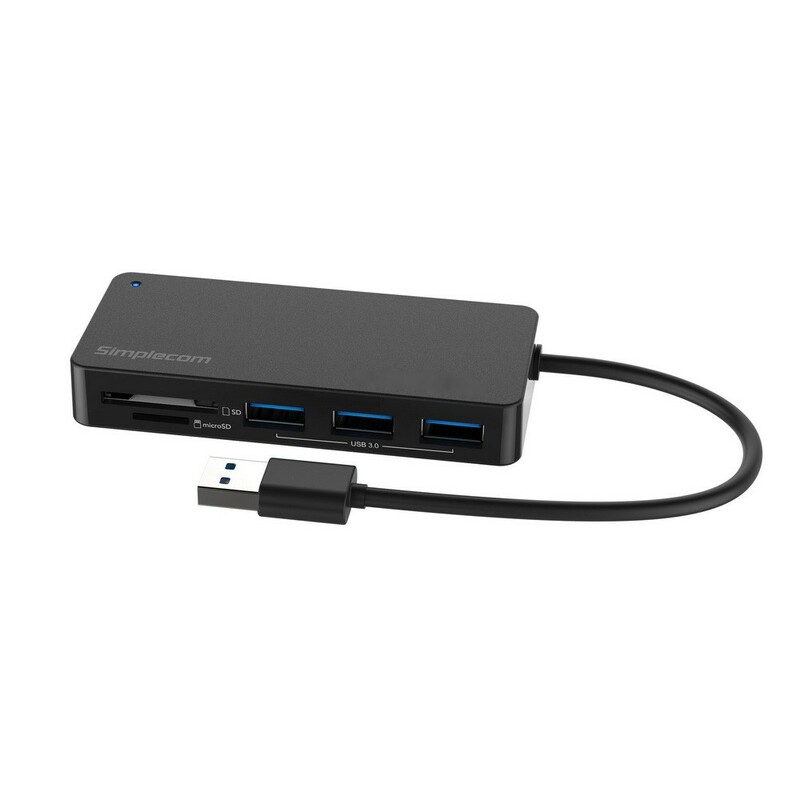 Upgrade single USB 3.0 port to three USB 3.0 ports and 2 slots card reader with data transfer rates up to 5Gbps. 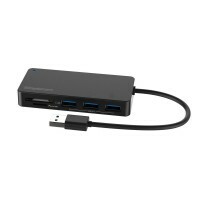 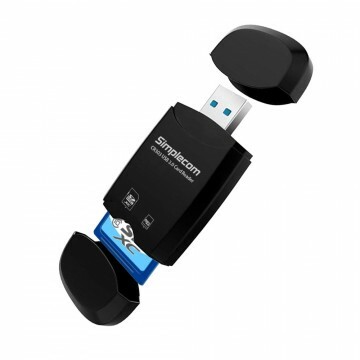 It features 3 USB 3.0 port for handy access to your USB devices. 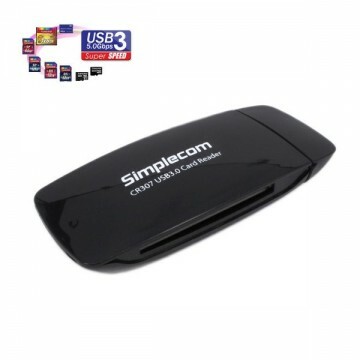 With built-in SD and MicroSD card slots, which makes reading those 2 types of memory cards very convenient and fast. 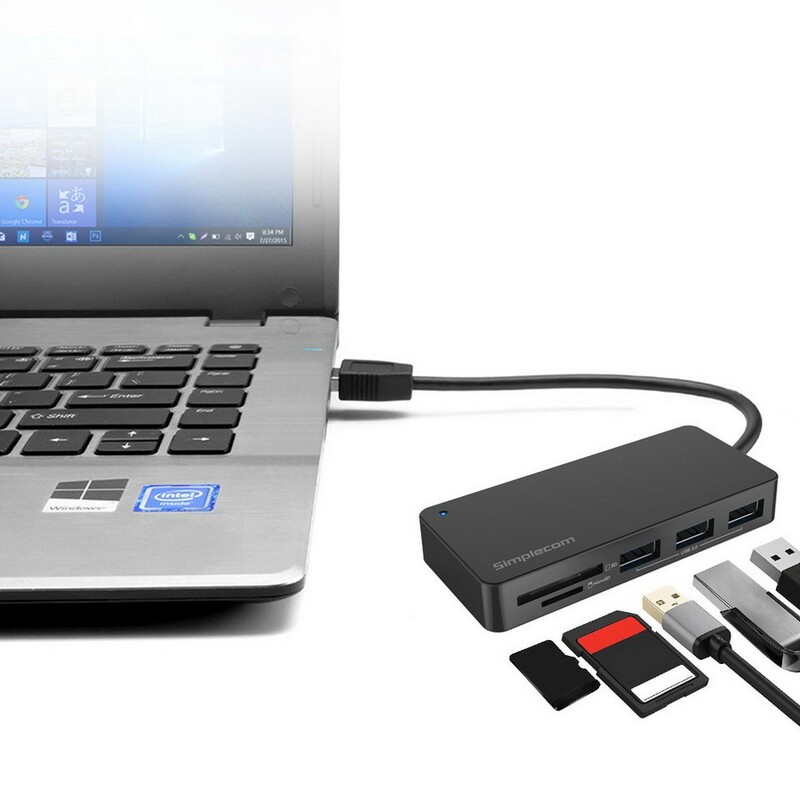 Super speed USB 3.0 interface allows for the fast access of large files with data transfer rate up to 5Gbps, ideal for transferring large raw or HD media files.